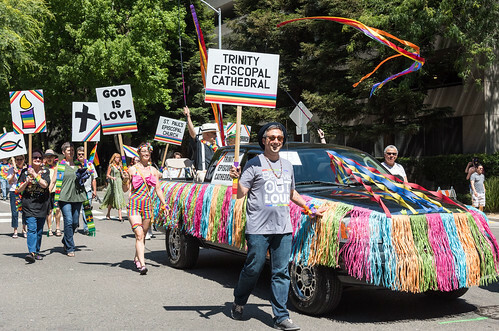 Trinity Cathedral celebrated the Eucharist in the parking lot before the Gay Pride Parade, then marched with their first float, and topped that off with a booth that had an "The Episcopal Church Marries You." Banner. It was a great day.